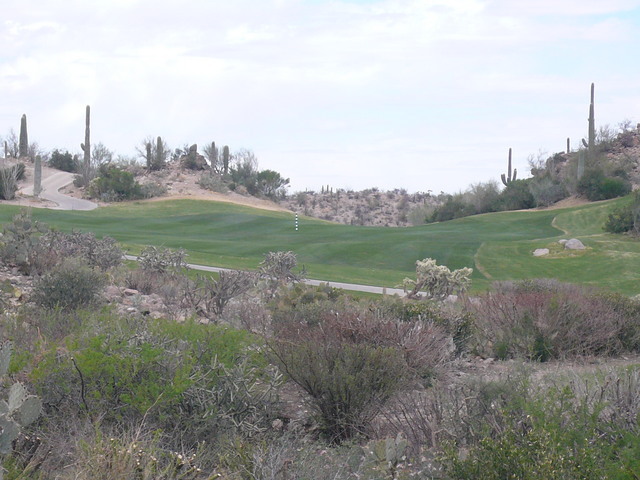 The Rattler/Coyote Course is one three courses at the Star Pass Golf Club. 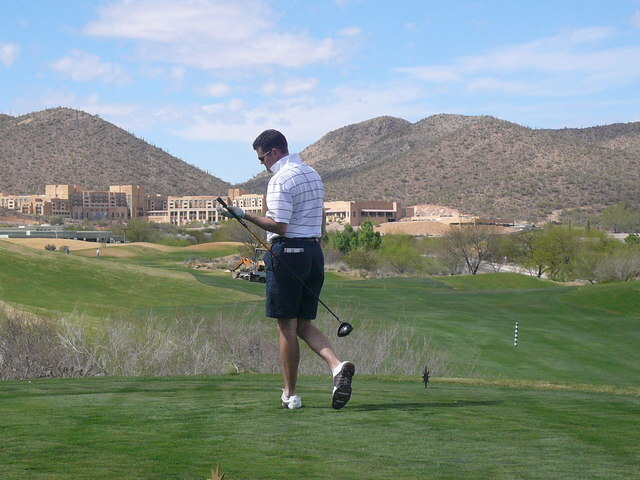 The club actually offers three individual nines that are played in three different 18-hole combinations. 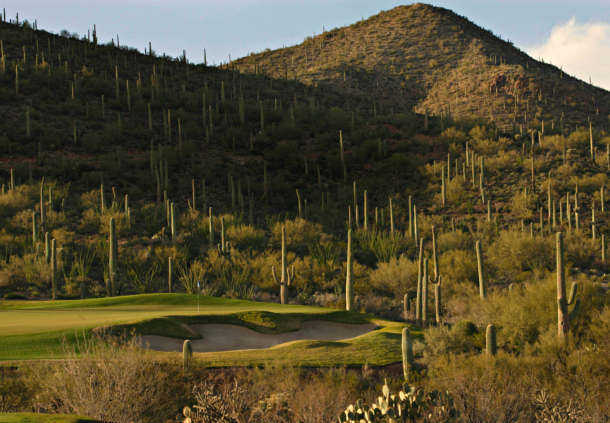 All of the courses feature dramatic elevations changes and stunning views of the nearby Tucson Mountains. 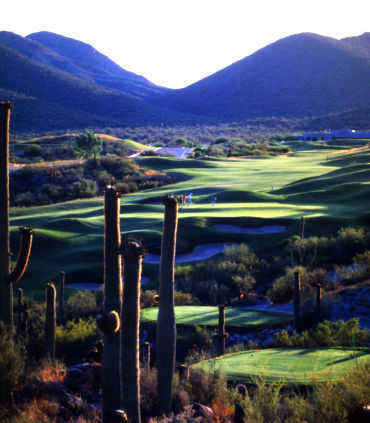 Designed by Robert Cupp and Craig Stadler with PGA Tour action in mind, Starr Pass Golf Club is a commanding desert-style layout whose subtle strategies are easier to understand once you’ve played it a time or two and whose beauty invites you back to do so. 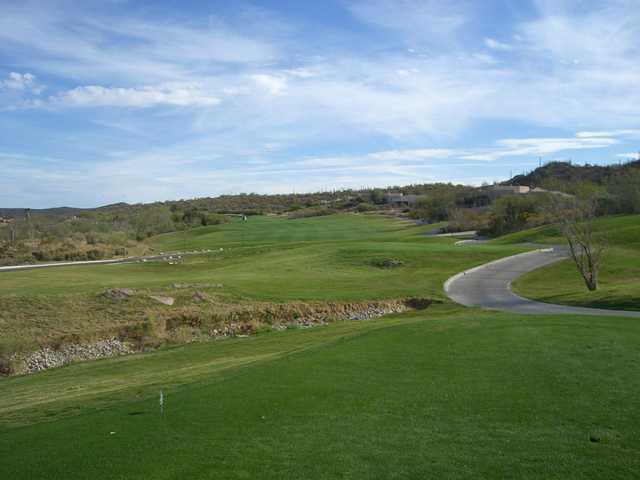 Delicately routed through rocky crags, cacti of all shapes and sizes, and treacherous ravines and arroyos, the real beauty of this popular layout is best seen from the protection of the fairway and the cart paths. 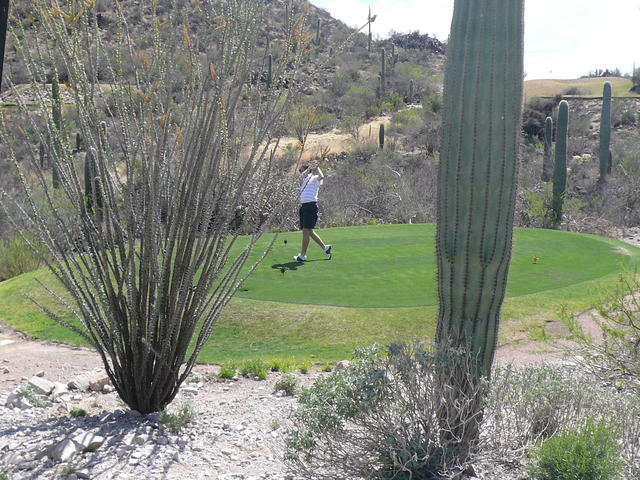 In fact, those would be the guiding words for any golfer at Starr Pass -if you don’t see green grass, don’t hit it there. For the gambler who wants to carry a wash or ravine, it’s a clear cut example of risk/reward; the odds for a better score favor patience and placement. 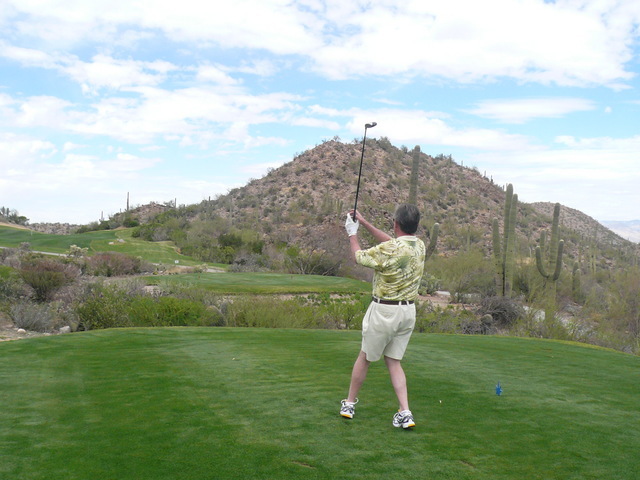 Once the brief home of the PGA Tour in Tucson, Starr Pass now plays host to many of the local tournaments and events, whose organizers are looking for a fair challenge for all players and a well run event. 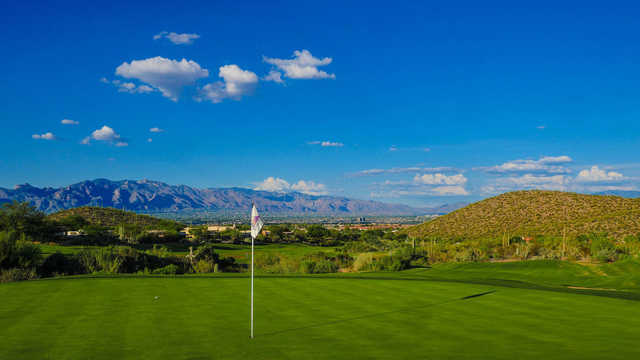 The views of the 18th green below the clubhouse, framed by the expanse of the Tucson Valley and surrounding mountains, offer a stunning backdrop during lunch for your foursome or a full tournament field. The well stocked pro-shop has everything you need in logo merchandise, equipment, lessons, and sun protection. 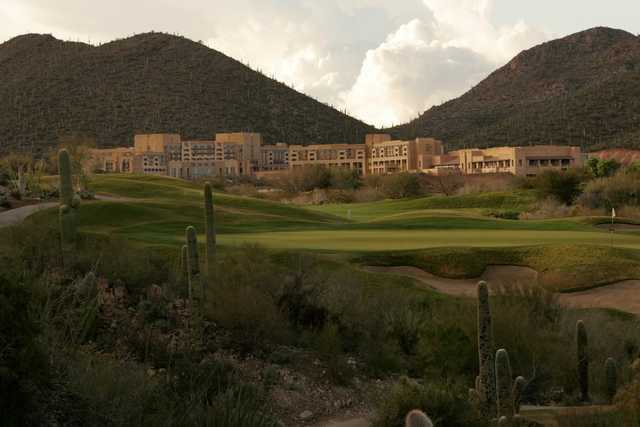 Accommodations are available in the form of 65 1,300 square foot casita-style lodging units, only a short stroll from the first tee. 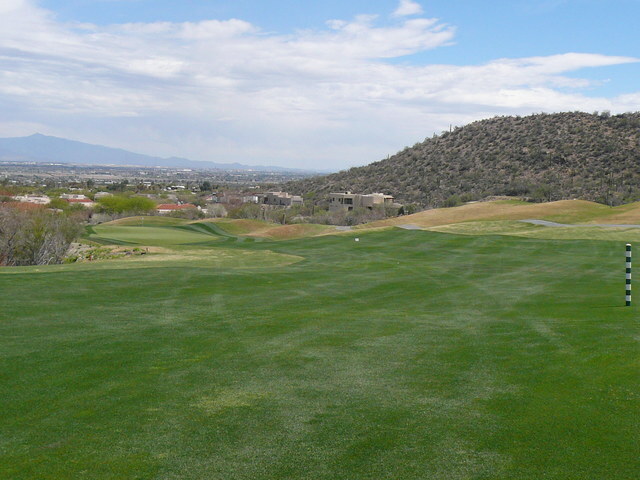 Situated only minutes from downtown Tucson, the airport, and the freeway, Starr Pass is close to wherever you come from or are going to. 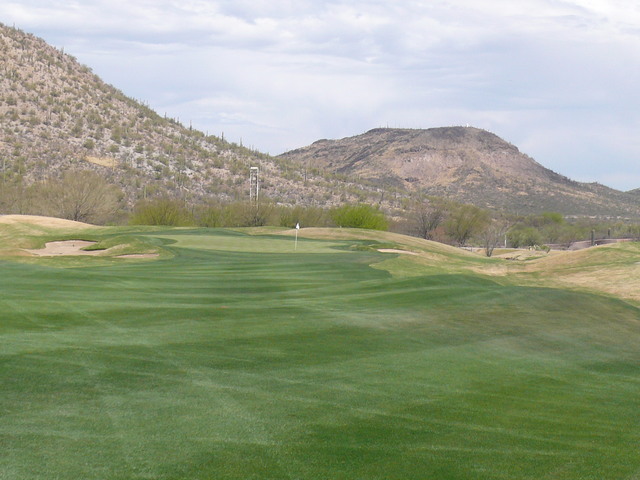 Set back into the mountains and surrounding Sonoran Desert, Starr Pass offers a truly unique desert golf experience on one of the finest maintained golf courses in Southern Arizona. 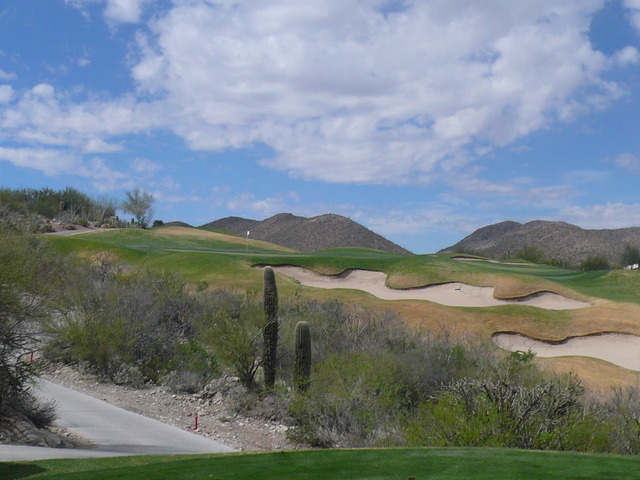 The Rattler is the longest of the three nines, and it is combined with the serene and quiet Coyote nine for a unique golfing experience. 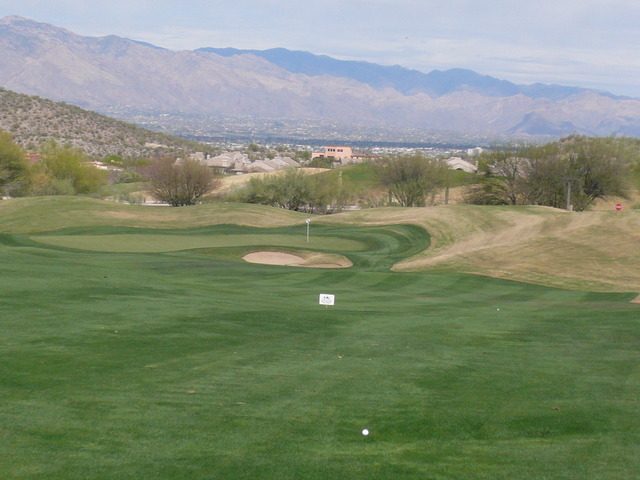 The course begins with a spectacular view of Tucson and the surrounding mountain ranges and continues to provide scenic views and elevation changes throughout. 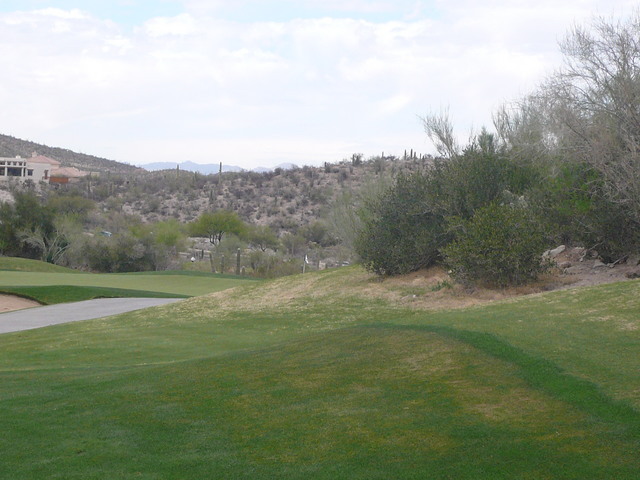 The fifth hole of the Rattler nine features a challenging split fairway. 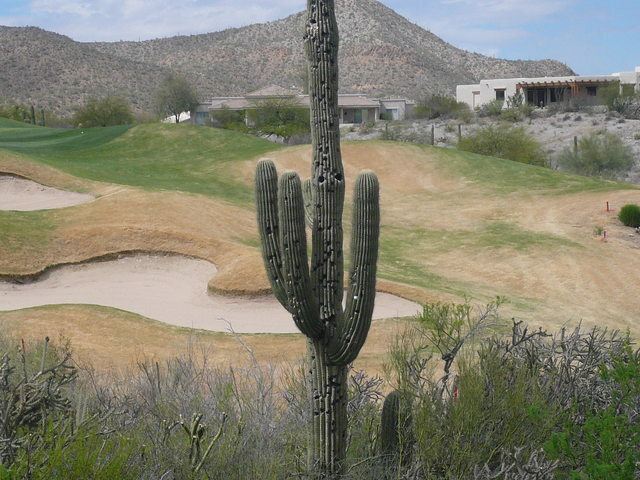 Golfers frequently see various types of wildlife on the Coyote nine. 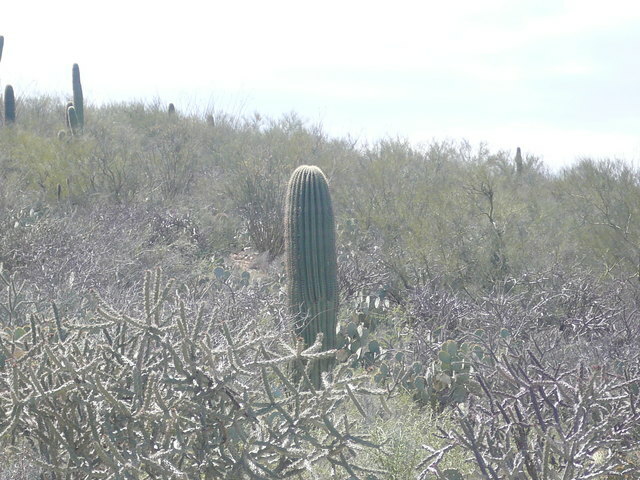 The course provides homes for rabbits, quail and deer. 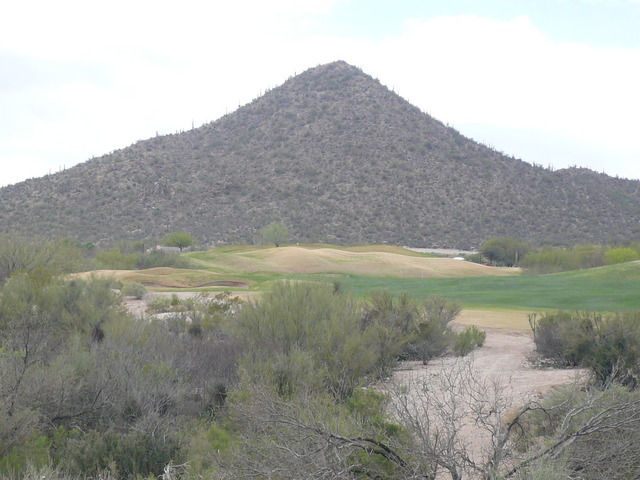 The Star Pass Golf Club’s dedication to preserving the wildlife habitats on the course has prompted them to become a member of the Audubon Cooperative Sanctuary Program. 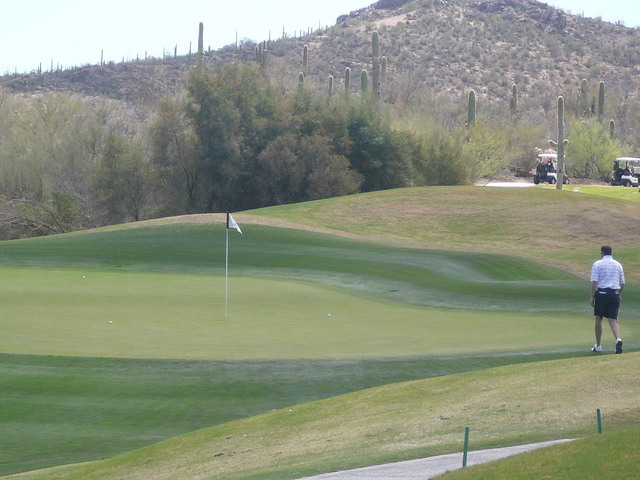 Starr Pass Golf Club - Front Nine: Starr Pass is a "Modern Throwback"
Beautiful course, every time I'm in Tucson we make it to this course. Designed for pros but I like the competition!